Details to come in the future. All seaplane pilots are invited to attend, but reservations must be made in advance , due to limited space and accommodations. This year, there will be a reservation cutoff date, and cancellation penalties. Sorry, the resort just couldn't operate with people canceling at the last minute or not showing up...they need to stay in business, too, just like everyone else. 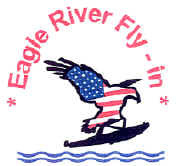 Any cabins not reserved for the Seaplane Fly-In by Sept. 1st will be offered to their other guests. Please reserve early.